Neutrogena Hydro Boost Water Gel Moisturiser moisturises your skin without leaving you feeling greasy and wet. It absorbs into your skin and the makeup of the product is designed to release moisture throughout the day. 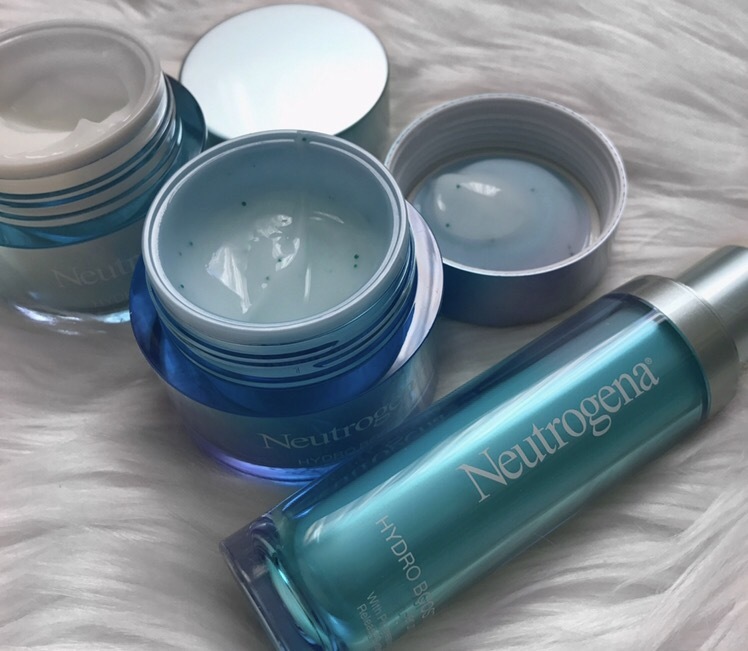 Neutrogena Hydro Boost Water Gel Night Concentrate is a thicker version of the daily moisturiser and lets you wake up with amazingly soft skin. Neutrogena Hydro Boost Water Gel Serum is absorbed into your skin almost instantly. It leaves no residue at all. It’s recommended to be used in the morning and night after cleansing which I follow up with moisturiser and night cream accordingly. Used alone, this serum is not enough to keep my face moisturised on a daily basis, however, it does add some radiance! Who doesn’t like a bit of glow?! 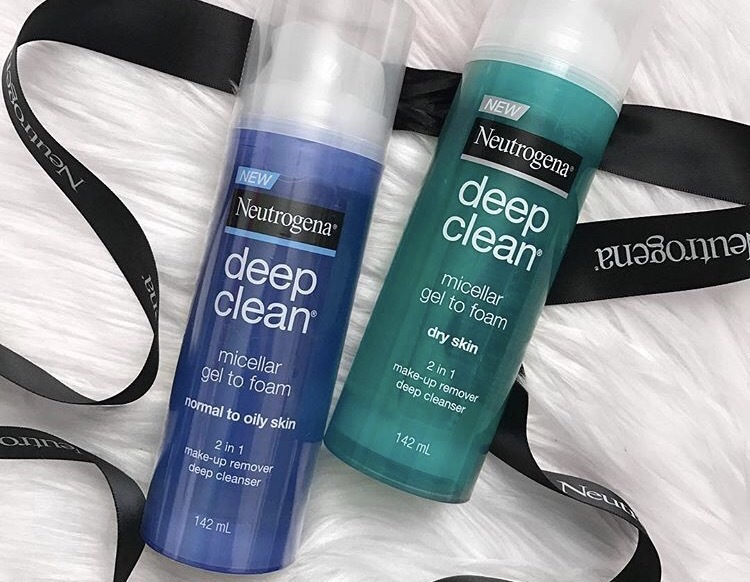 Neutrogena Hydro Boost Gelee Milk Cleanser is not only a cleanser – but makeup remover as well! Just squirt some onto a cotton pad and wipe away. You don’t even have to rinse afterwards. I really like this product as it’s like the face wipes in bottle form. 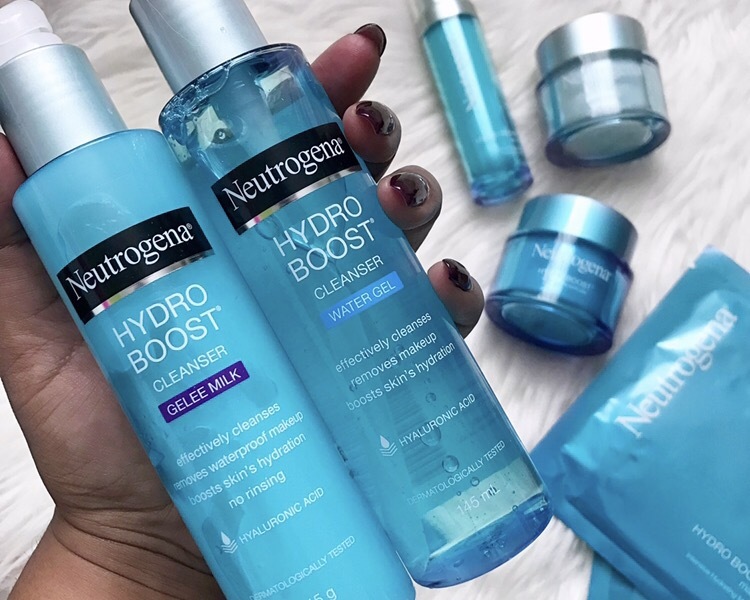 Neutrogena Hydro Boost Cleanser Gel is soft on the skin, however, I prefer the way my skin feels after using the Milk Cleanser as I feel I have to rehydrate my skin more after using this one! As I have extremely dry skin, I prefer the Hydroboost range and their cleansers in general. However, the whole concept of gel to foam is super cool and worth the try! Don’t forget to pick up some sunscreen too to prepare for Summer! « BYS Think Pink Eyeshadow Palette – an Anastasia Beverly Hills Dupe? I love the hydro boost moisturiser and its Ben’s all time fave!